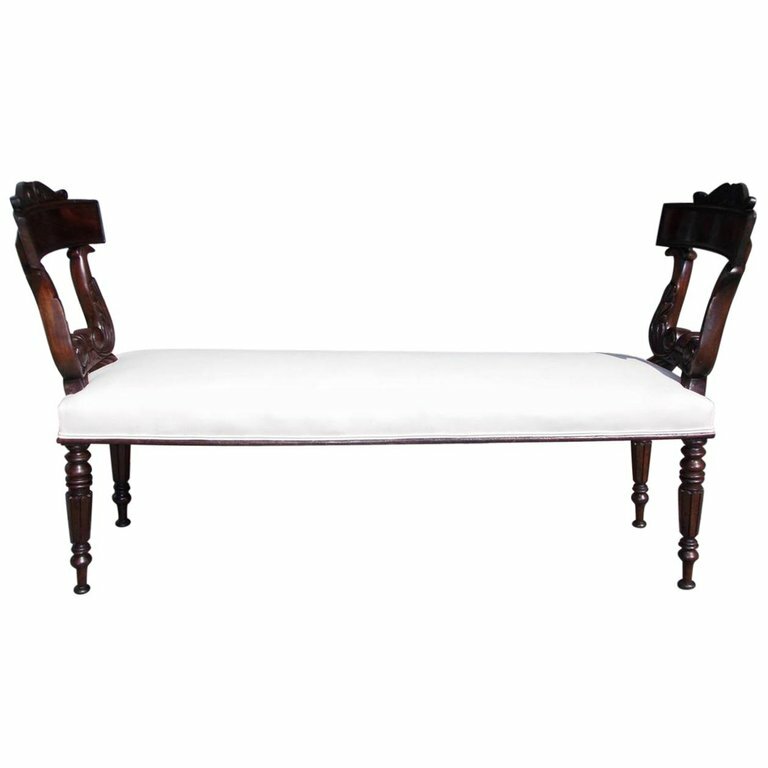 English Regency mahogany carved acanthus hall bench with decorative scrolled pediment, flanking stylized lyre backs, upholstered in white muslin with horse hair and cotton padding, and terminating on the original turned bulbous fluted legs. Early 19th century. H 34 in. x W 60 in. x D 19 in.